Bitten by Hostgator? Feeling blue from Bluehost.com? Scared about your account on HostMonster.com? What happened on August 2nd at the new mega-host conglomerate BlueGatorMonster should give everyone a reason to pause and reflect. The problem with BGM is growth and size and the discovery that all things don’t scale, especially service. Endurance International Group is the owner of these three hosting sites and has been on a buying spree, gobbling up every cheap hosting site they can get their paws on. EIG is using the “rolling up the industry” strategy to annex these smaller companies. These smaller sites are then all moved to the EIG Utah server center, where they can benefit from economies of scale to maximize profit. EIG is all about volume. They are looking to buy up all the competition – absorbing you, the customer, and your site. The bread and butter of this high volume model are the auto-payment customers, the people who continue to pay for a website that is forgotten or not cared for anymore. 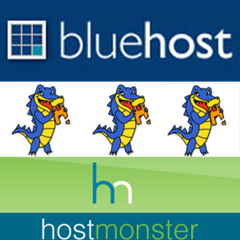 The BlueGatorMonster combination has approximately 5MM websites and at the $3/month, have a nice revenue stream of $15m/month. If you don’t fit that minimal-traffic, static website model and you actually want to grow your business with a site that has real speed and real security, then you don’t fit into their model. Sometimes cheap is all you need, and having your site on the same machine as a 100 other sites is fine. The numerous drawbacks to this model, however, leaves a lot to be desired for a large portion of the market. The August 2nd BlueGatorMonster outage might have only affected your family blog. Big deal, nobody could see baby James for a few hours. But if you have a serious business website, you may have been planning a sale or special event for your site. In that situation, August 2nd may have been a frustrating and painful day. 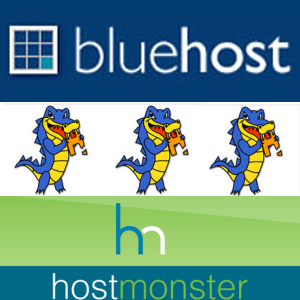 All the planning and work put into trying to generate more traffic or sales was wasted due to BlueGatorMonsters scaling difficulties. I host several clients and manage websites for some of them. The clients that choose not to host with me cite price as the number one concern. That’s fine. I like them all the same and still monitor their sites to keep an eye on them, it is a mother hen kind of thing, I guess. I know several of these clients were victims of the BlueGatorMonster outage, as our alerts machine was going off and on all day long, each and every time the BlueGatorMonster died and then resurrected. I know some of you had to have lost money. This article is not meant to be an “I told you so”, and I am not saying that we don’t have our own issues every once in a while. We, for instance, are completely reliant on Amazon and they have certainly had their share of problems, but we do operate differently here to minimize the number and longevity of any issues that may arise. The length of the BlueGatorMonster problem, which is still persisting as I write this on the 3rd of August, is something I find outright unacceptable. The decision is yours, just make sure you make the decision knowing the trade-offs: cheap hosting vs. VIP hosting. The former may appear more appealing at first, but when it comes down to it, nothing beats VIP hosting serious business. FortunesRocks.me is not the only VIP WordPress hosting solution. Other sites exist, but we are the most intimate and personal, because I believe that caring counts. First, we use Amazon, and they run a massively redundant system of data-centers, not just one. We effectively have datacenters on the East and West coasts of the US, Ireland, South America, and Asia. If we have a datacenter go down like BlueGatorMonster did (their one and only data center), we can spin up your site at any of the other centers in a matter of minutes. We also run redundant DNS, so no matter who hosts your DNS, we also add our name servers to you account so one bad link won’t bring down the whole site. When it comes to customer support, we are focusing on client service and scaling our growth to keep our level of support excellent. We pride ourselves in getting to know our customers on a first name basis, something the larger hosting sites simply cannot match. We are a boutique hosting center dedicated not just to hosting your site, but to helping you grow your business. We focus on support, reliability, speed, safety. For just $27/month you get our nightly backups / security updates / Plugin updates and a free hour per month of consulting and 24×7 support. For a three-month contract we will move your site for free! Join our growing hosting family and leave the driving to us. We are so sure of our service that we offer a 90 day guarantee. If you are not happy with the experience of entrusting your site to us, we will move it to any other host for free! We have moved hundreds of sites from and to most vendors, now don’t you think it is time to move yours to a safe port? Call me anytime at 617-803-4776 or email me marlin@fortunesrocks.me. Let me be your host.